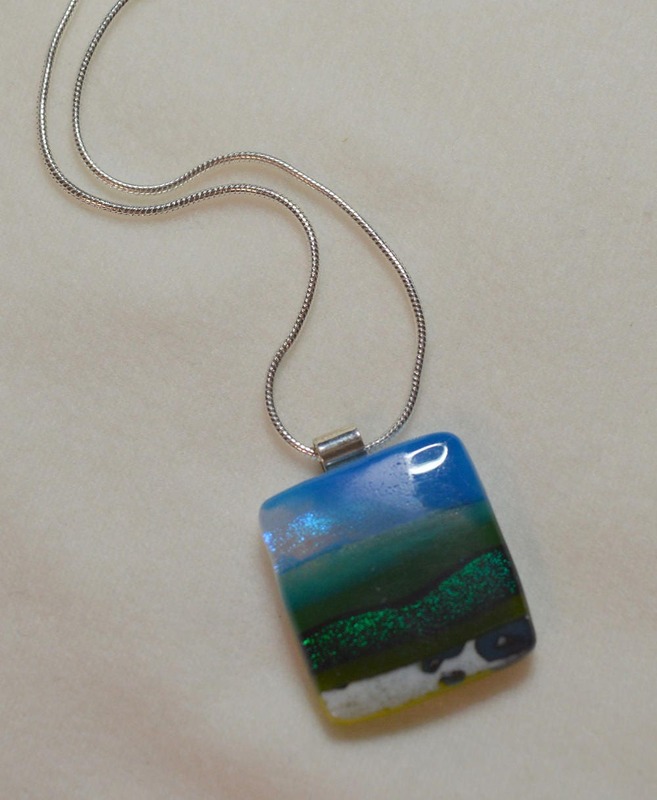 Slightly rectangular fused glass pendant with sterling silver bail and snake chain. 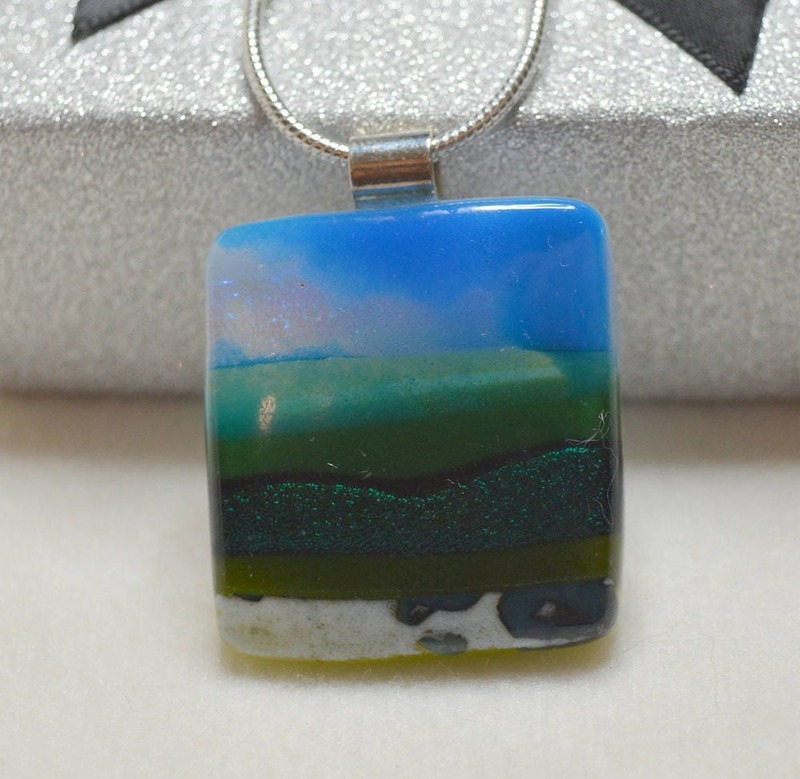 Lots of layers of glass have been fused together to show depth and hidden dichroic pieces reflect light in the sky and hillside. 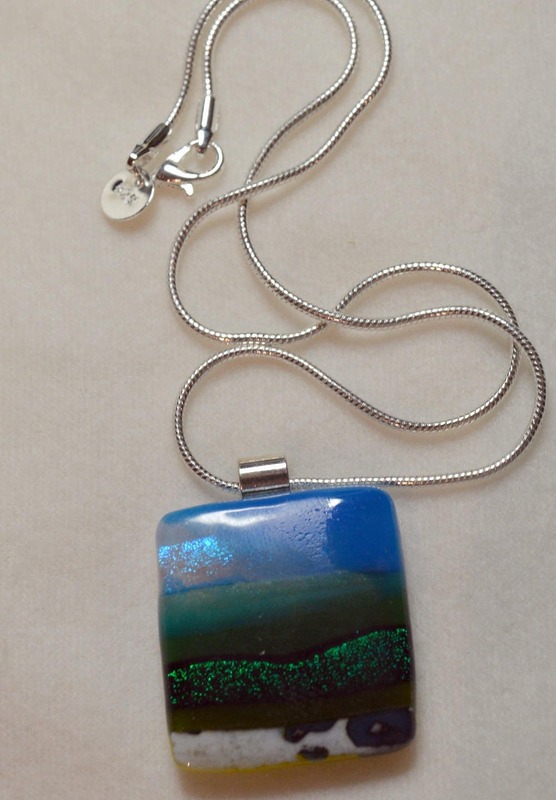 The pendant measures approx 3.25cm long and 3cm wide and has a sterling silver bail strung on a 2mm thick sterling silver snake chain measuring approx 38cm. 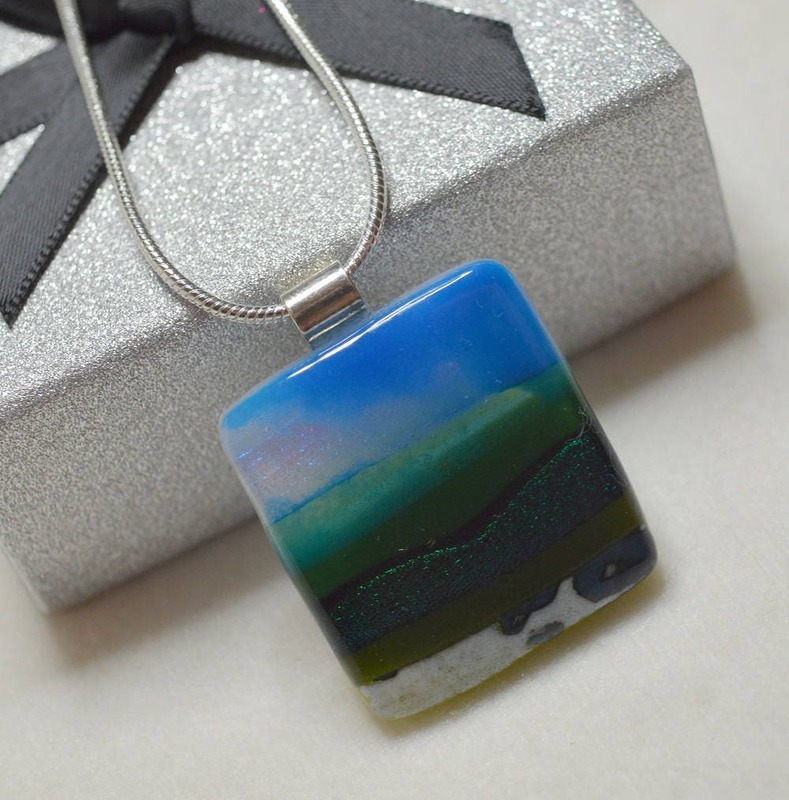 Presented in glittery silver gift box with black inlay as shown in picture.